On this page you can find owner's manuals for XO Boats. 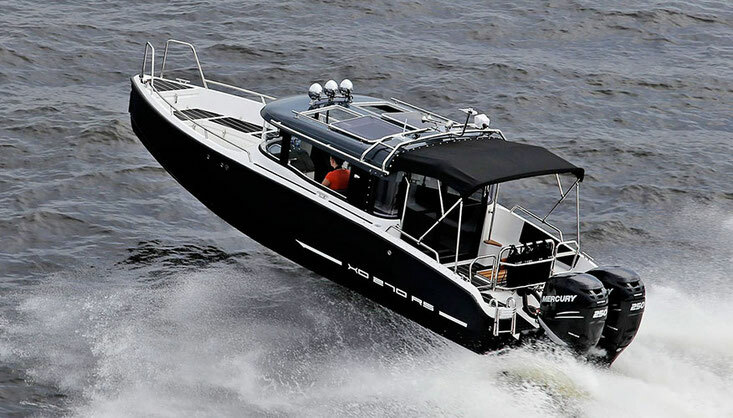 The Finnish company XO Boats was founded in 2009. The boat design was developed by Navia Design under the direction of Jarkko Jämsén. The rapidly growing company XO Boats has concentrated its production near the waters of the Baltic and North Seas, where harsh and unpredictable weather conditions have formed a natural laboratory for marine tests. XO were born in the archipelago of Finland. Here everything is knocked out by the wind and polished by the sea. Severe conditions. Beautiful harsh minimalism. There is a reason for everything. This is the nature of the unique CW design. Reliable and strong aluminum alloy. Long waterline, narrow shape, "deep V" provide a guaranteed soft journey on the water in any water area. They are designed so that they can challenge the elements, while others are forced to stay at the pier. Good design is always subordinate to the functionality, but even the best of the boats is nothing without a man. The purpose of XO is to give you the opportunity to explore. Every detail was developed with this thought. The end result is more than the sum of the individual parts. There is nothing superfluous.